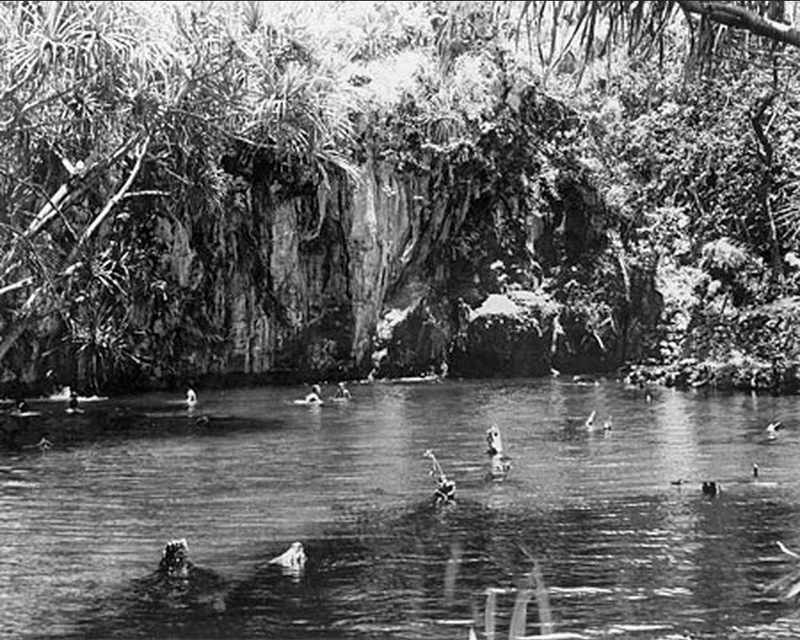 At Warm Springs, where portions of ‘Bird of Paradise’ (1951) and other motion pictures had been filmed, stone steps led to a spring-fed, naturally heated pool fringed by ferns, cattleya orchids and lau hala trees. Then, “Something was amiss.” An eruption at Kilauea had ended on December 21, 1959. Bulldozers erected a quarter-mile line of dikes designed to prevent the lava from reaching Warm Springs. Despite this effort, toward midnight the flow surmounted the embankments. The photo shows Waiwelawela. In addition, I have included other images in a folder of like name in the Photos section on my Facebook and Google+ pages.